The school makes a big deal about completing the first hundred days of the year. 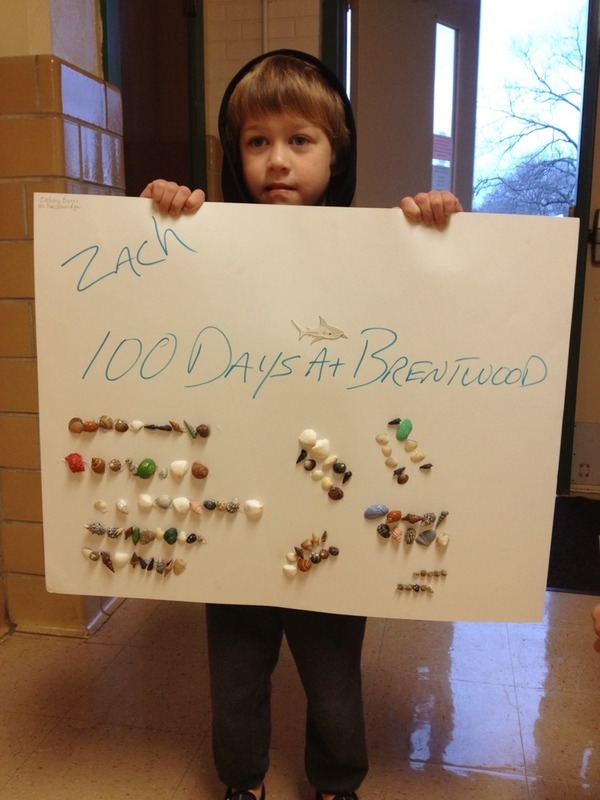 Zach made a poster with 100 shells on it. I helped with the glue gun, burning giant blisters on the tips of two fingers. Yay school!